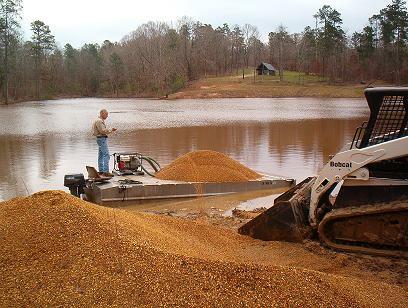 PFS has equipment to build gravel spawning areas on existing lakes. We can also assist in designing spawning areas on lakes under construction. Good habitat is critical to sustaining good fishing. For example, proper spawning substrate is essential for producing young fish. In addition, most adult and juvenile game fish relate to cover—such as piles of brush and other debris—to ambush prey and hide from predators. Anglers also benefit from enhanced spawning and ambush areas because they make locating fish much easier. 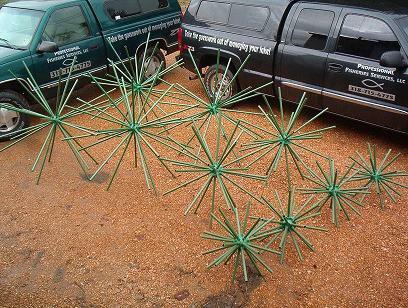 many years, such as Bill Dance's® Porcupine Fish Attractors.